No one really has a clue how Tests in the UAE go. "Slow burners" seemed to be the conclusion last week. Win the toss, bat first, put up a big score, and dominate. Nathan Lyon made a mockery of that formula in Abu Dhabi. He shredded his way through Pakistan's middle order and turned conventional wisdom on its head. Just after Pakistan had recovered from the loss of an early wicket and begun to put on a partnership that would reset them on course came a spell any grand old Asian spinmaster would remember in the rocking chair decades on. If it is not, that would be single-handedly down to one partnership, the one that came right after the carnage. Debutant Fakhar and a rejuvenated Sarfraz added 147 to lift Pakistan from the doldrums and carry them through to a relatively respectable 282. At the end of their careers, this innings is likely to rank near the top, and yet both were denied richly-deserved hundreds. Each fell for 94, ensuring that despite their brilliance, the day ended with honours even. Pakistan finished on a high, though, landing a significant blow to the visitors late on, a diving catch from - who else - Sarfraz dismissing last game's hero Usman Khawaja cheaply. The icing on the cake was Mohammad Abbas trapping nightwatchman Peter Siddle in front middle and leg off the last ball. For a man who had averaged almost 85 in the UAE previously, there was no foreshadowing what Lyon was about to produce. The second wicket partnership had accumulated 52 hard-fought runs, but Azhar Ali - struggling for form of late - chose unwisely to attack Lyon by charging down the wicket, only to scoop the ball straight into the bowler's hands. That opened the floodgates. Haris Sohail couldn't keep the first ball he faced down and Travis Head at silly point caught sharply. 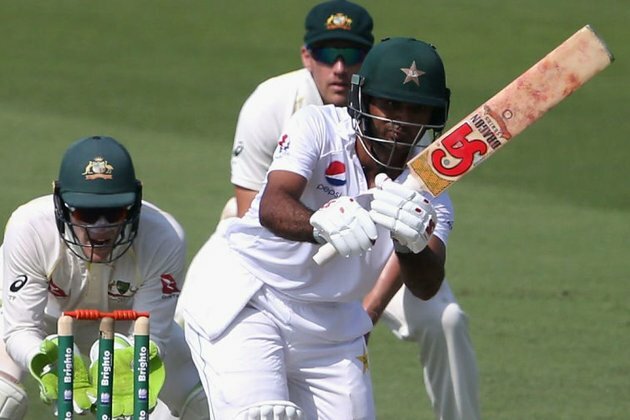 An over later, Lyon struck two more bruising blows to the solar plexus of the batting order, sending Asad Shafiq and Babar Azam on their way. Babar's dismissal could most kindly be described as a brain-freeze, with the youngster charging down the track off just his second delivery, hopelessly beaten by both flight and turn.